Spark™ finds biologically equivalent replacements for key moieties in your molecule and guides you through the process of growing and linking ligands. Whether your research goal is R-group exploration, patent busting or scaffold hopping, your results will include structures you have thought of yourself, plus new structures that make chemical sense and are totally unexpected. Our customers tell us that Spark is the best scaffold hopping software they have ever used. Because Spark works in electrostatic and shape space it can match the nature of your molecules better than any other tool. 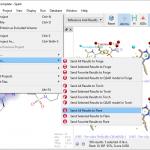 When you grow ligands into new space, or link ligands from different regions of your protein active site, Spark gives you complete control. 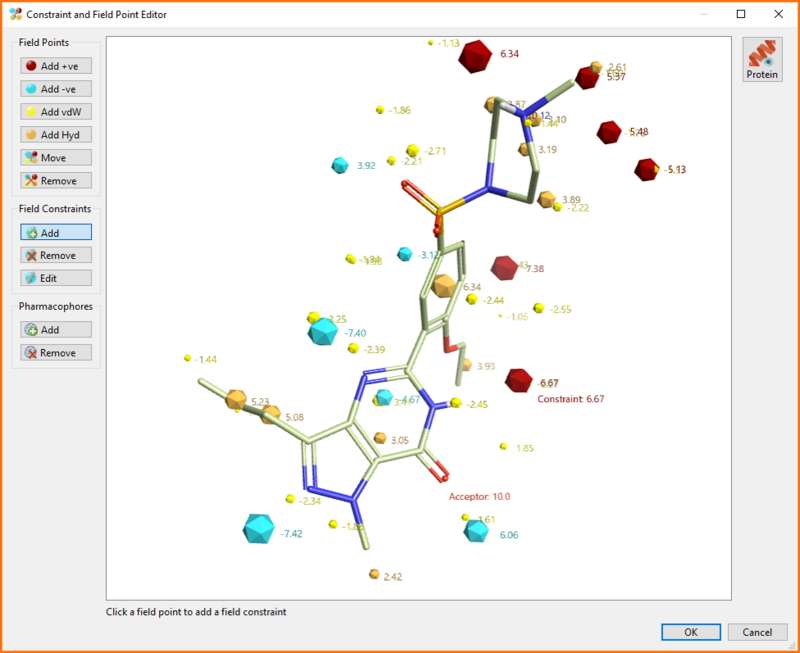 You can choose to be guided by your knowledge of existing ligands, your reagent availability, or by the ideal property profile. Spark gives you a head start, letting you explore the likely results of your substitutions from the desktop before transferring your best ideas to the bench. 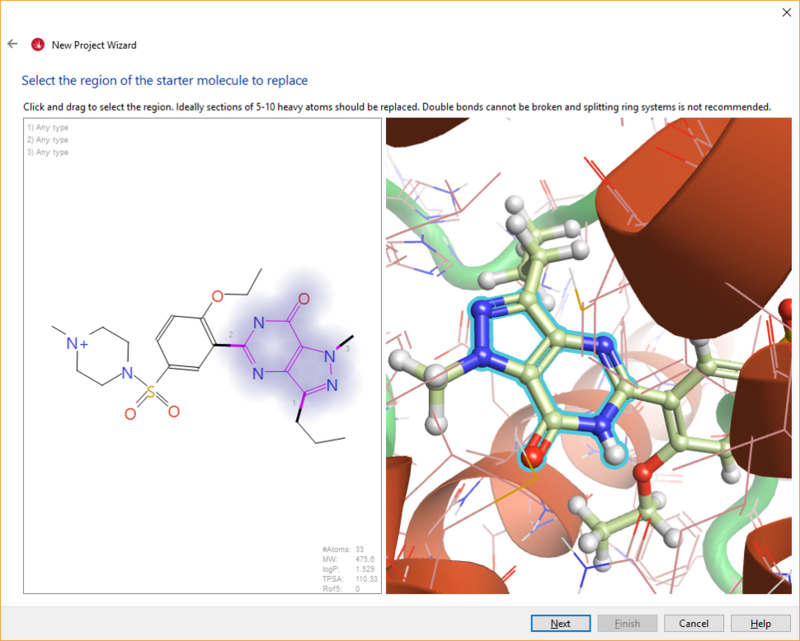 Search for an R-group which will displace a crystallographic water molecule near your ligand. 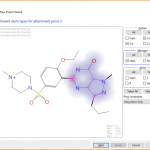 The easy to use interface quickly generates a range of novel molecules from an initial structure. Profiling and scoring help you choose the most innovative and tractable leads with the properties you need. 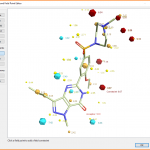 Create your own custom databases based on the reagents you have available or your proprietary chemistry. 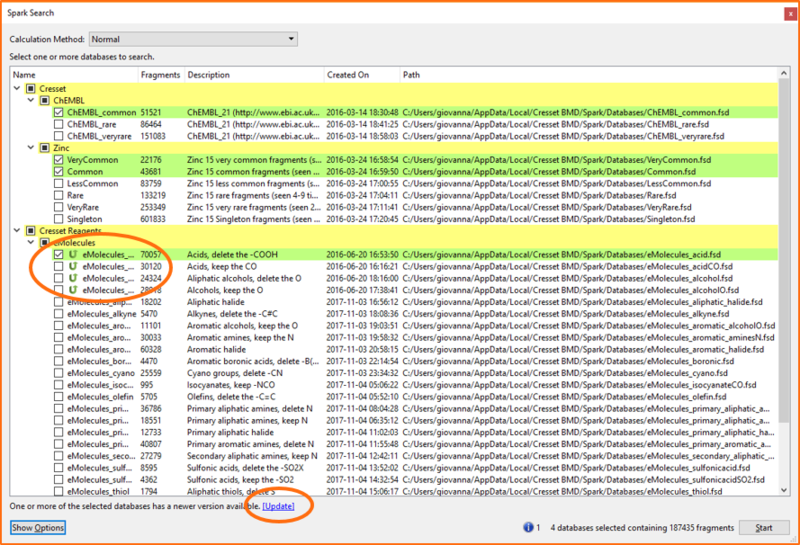 You can also ask Cresset Discovery Services consultants to run a proof of concept using Spark. 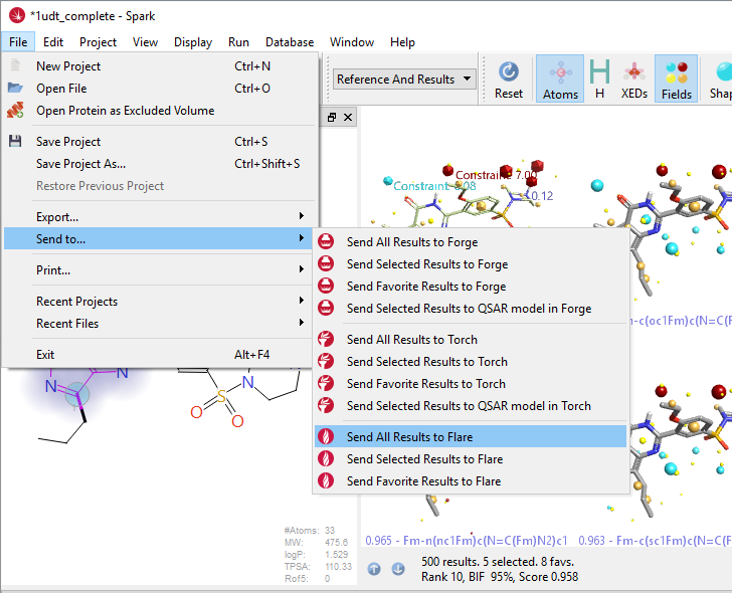 Spark is available on Windows®, macOS® and Linux®. It can be accessed as desktop applications and command lines and KNIME™ and Pipeline Pilot™ nodes. 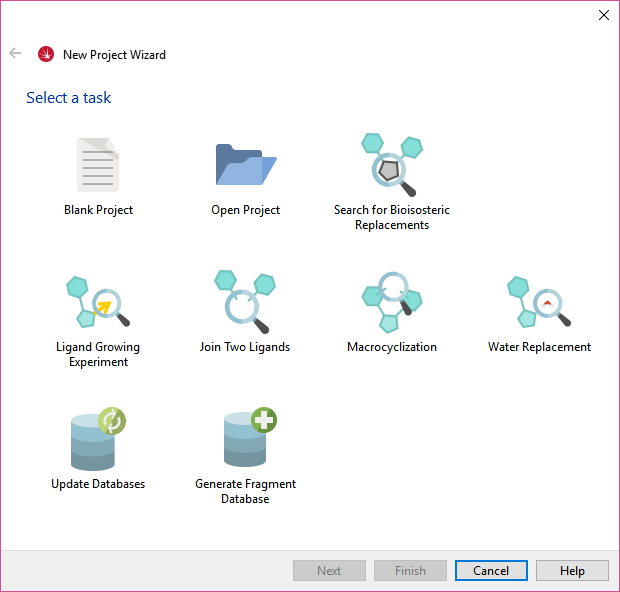 Cresset supplies a range of curated databases of fragments for use in Spark experiments. The databases are updated regularly and are available for download to all Spark users. 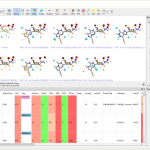 The Spark databases are based on commercially available screening compounds (ZINC1,2 drug-like and eMolecules screening compounds3), from literature reports (ChEMBL4), from theoretical rings (VEHICLe5), and from commercial reagents (eMolecules building blocks6). 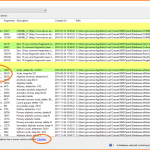 The larger databases are split based on the frequency of occurrence of the fragments. 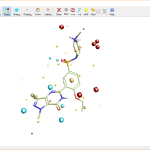 A Spark database based on data from the Cambridge Structural Database7 is also available. 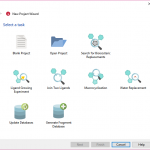 In addition, you can use the Spark Database Generator to create your own Spark databases. 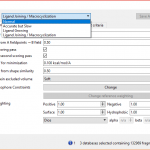 The Commercial Spark databases are based on ZINC15 and eMolecules screening compounds and are split based on the frequency of occurrence of the fragments. 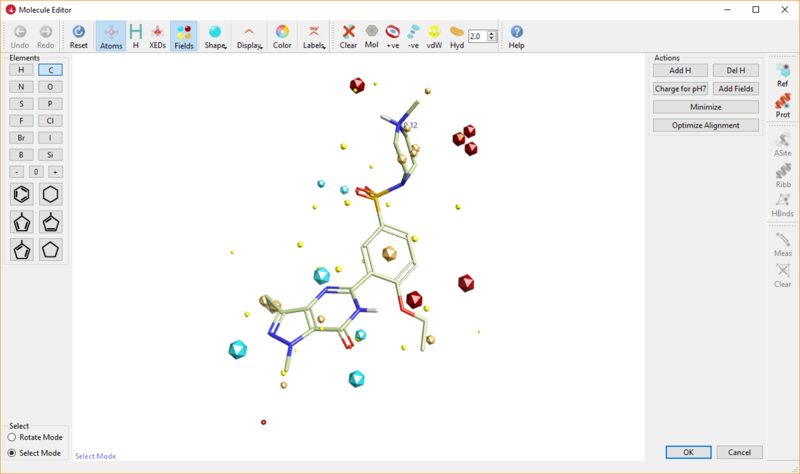 ExtremelyRare (5.9 GB) – fragments which appear in 3-4 molecules. 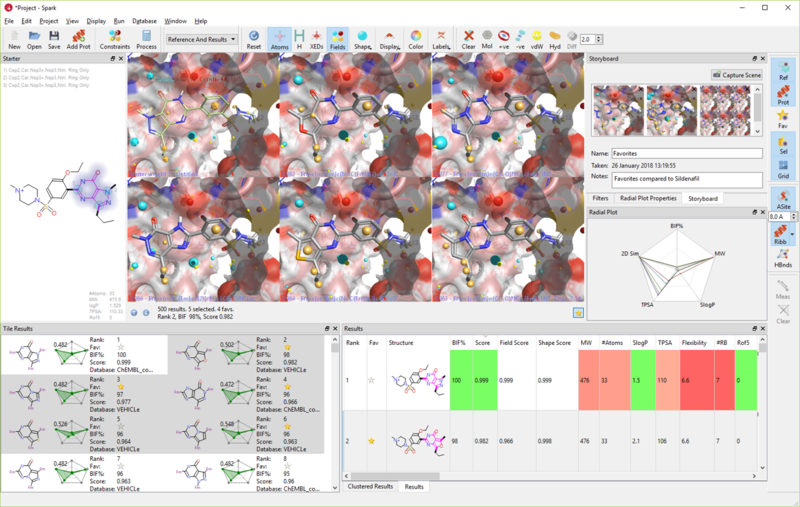 In general, fragments from the VeryCommon or Common databases are more likely to be readily synthesizable as they appear in many different commercially available molecules. Fragments from the Rare, VeryRare and ExtremelyRare databases are more likely to be non-drug-like or hard to make. These databases have been filtered to remove potentially toxic or reactive fragments (such as alkyl halides or nitroso functionalities). However, all phosphorus-containing fragments have been removed as the calculation of fields on phosphorus-containing functional groups is still under development. See a detailed analysis of these databases. Please contact Cresset support if you wish to download them. 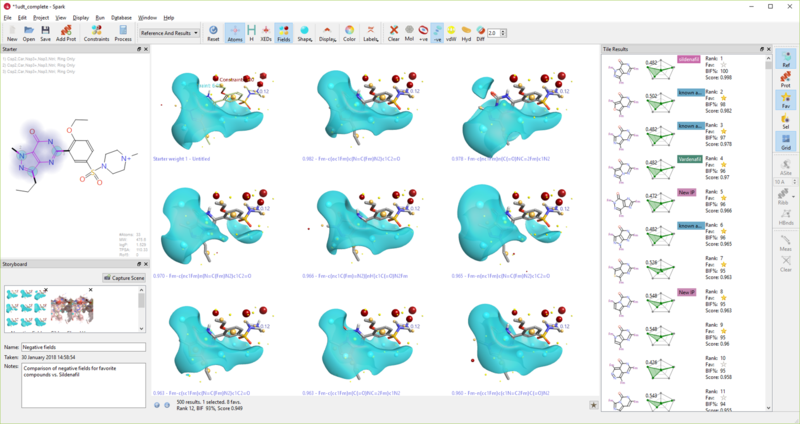 The current ChEMBL Spark databases are based on Release 23 of ChEMBL and are split based on the frequency of occurrence of the fragments. ChEMBL_veryrare (3.8 GB) – fragments which appear in a single molecule. 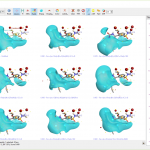 The Spark Reagent Databases are derived from eMolecules building blocks6 using the Cresset reagent importer, which converts a file of usable reagents into the corresponding R-group. For example, to create the eMolecules_acid database, all the eMolecules building blocks containing a C(=O)OH or C(=O)Cl group were processed to add the R-group to the database. 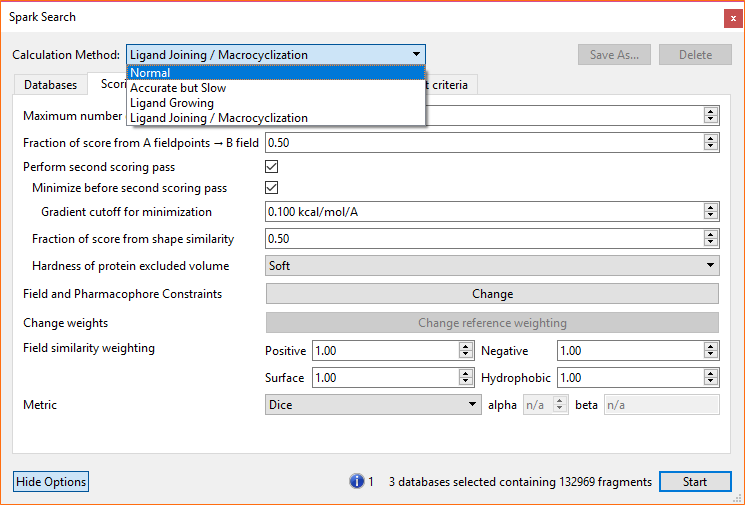 Using databases derived from available reagents ensures that the results of your Spark experiment are tethered to molecules that are readily synthetically accessible. Monthly updates for these databases provide the very best availability information on the reagents that you wish to employ. 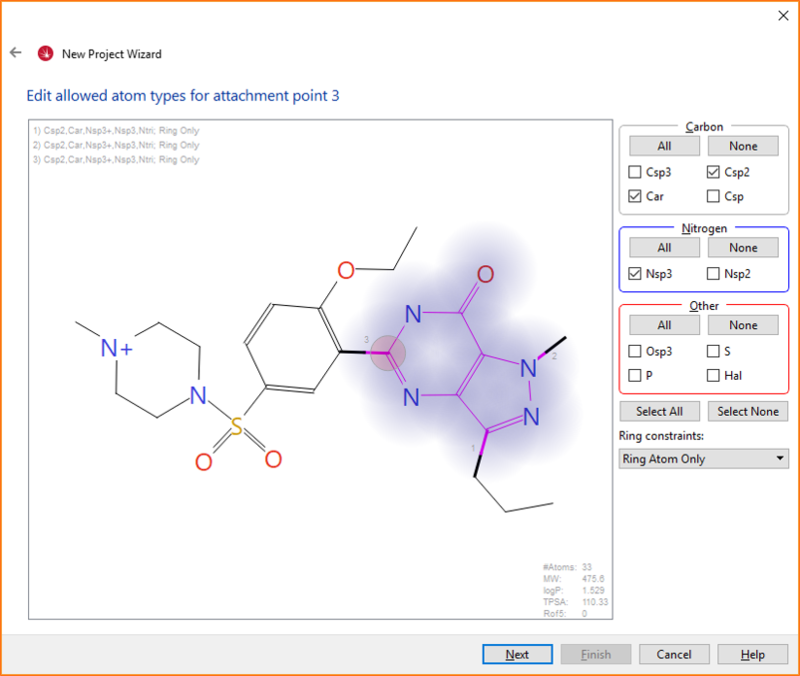 The current list of Spark Reagent Databases includes 22 common chemical transformations. A detailed analysis of these databases can be found here. 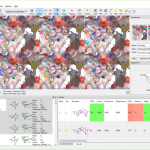 The Spark CSD Fragment Database is a collection of fragments derived from the small molecule crystal structures in the Cambridge Structural Database7 (CSD). A valid CSD-System license is required for use of this database. If you do not already have a license, please contact CCDC for assistance. 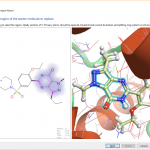 Spark fragment and reagent databases provide an excellent source of new bioisosteres. 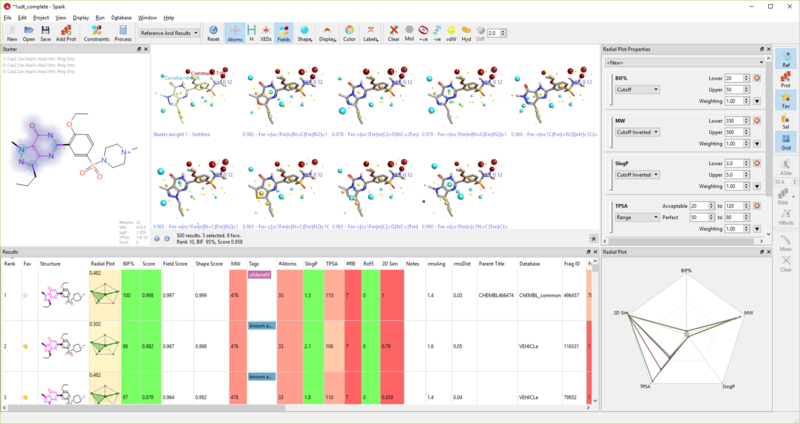 However, if you have access to significant proprietary chemistry, to specialized reagents, or simply want to only consider fragments from reagents that you have in stock then creating your own custom databases will add value to your Spark experiments. The Spark Database Generator is a user-friendly interface within Spark that lets you easily create custom databases. Contact Cresset enquiries to get a database generator license for the Spark Database Generator. Relevant, non-obvious suggestions that make a significant impact on the drug development process. Bioisosteric Replacements for the Neurokinin 1 receptor (NK1R), pages 259-278 of Scaffold Hopping in Medicinal Chemistry, edited by Nathan Brown, published by Wiley: a retrospective study. 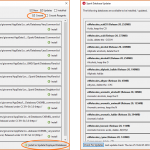 See recent news and blog posts about Spark.